It’s that time again, where I have stuffed my face so much I have had enough and I am feeling just tad annoyed with myself. So I thought I would post the above picture to prove to myself that I can, I have and yet again I will lose the weight. 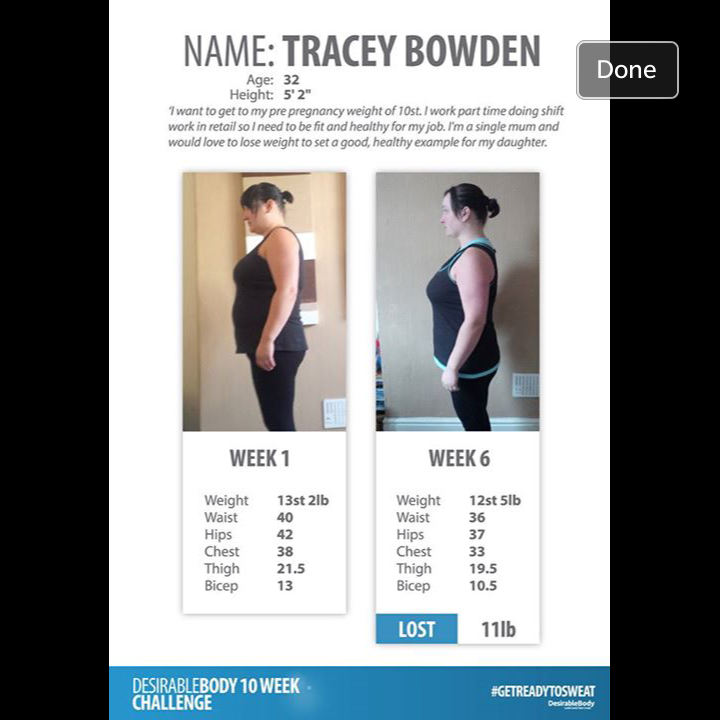 Mid September I took up the 10 week challenge with DesirableBody . They would provide all supplements, fitness equipment, exercise and diet plans for 10 weeks and all I had to do was follow it! Easy right? Wrong! It was so hard to do, yet so fun at the same time. All participants communicated encouraged and shared progress the whole way through on a closed facebook page and honestly I think we all helped each other through it. The staff from Desirablebody were amazing nothing was too much trouble and they helped us all along the way and I was so made up at the end to hit my goal of 12 stone. I have lost my diet plan, my exercise schedule everything I had saved on my phone from what DesirableBody sent me to follow and I am honestly more than a bit gutted so I am having to go in on my own and try my best to change my diet by myself eeekk! So again the diet starts Monday and tonight will be spent making a diet plan for the week, working out how and when I can go the gym, swimming, aqua classes and I will update you all tomorrow!